There are some very popular activities that do take place aside from normal camp activities throughout the summer. Some of the off camp events include: two all camp trips to the Maine beaches and also to a nearby amusement park, Funtown Splashtown USA. We also offer day hikes and overnight hikes for all age-groups as well as a raspberry picking trip for the 8-10 year olds. Our older girls have extended trips to Bar Harbor, Sunday River and Canada to partake in a variety of exciting activities. 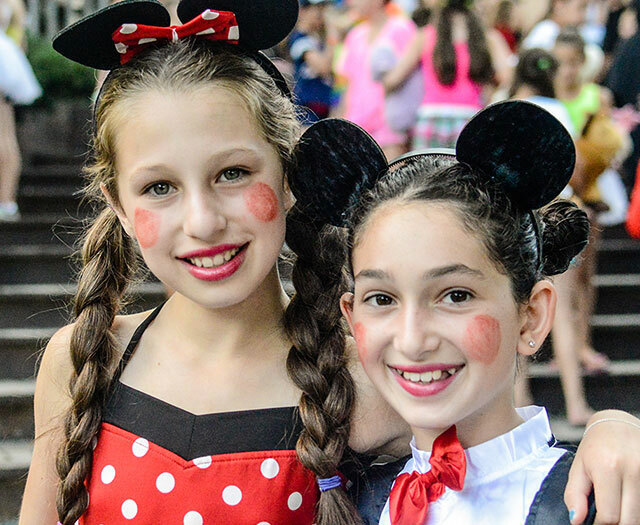 At camp, we go all out celebrating the 4th of July and even have a summer Halloween!